I went to college in Boston, arguably one of the most resilient cities in the USA. I still go back whenever I can. 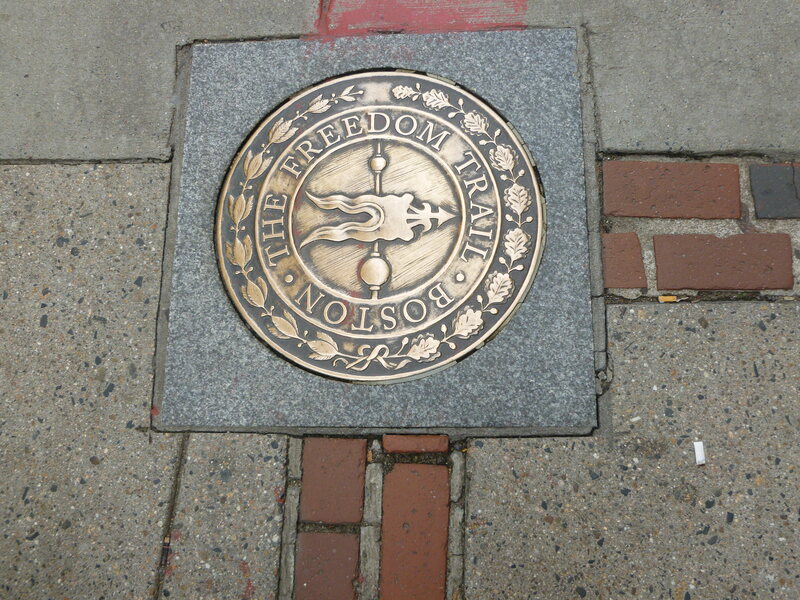 I love taking the T or just walking the Freedom Trail. I lived in the Back Bay area, and from my dorm we could hear the shouts across the railway when a home run was hit at Fenway Park. Back when I was there, the EPA hadn’t cleaned up rivers, and pollution was so bad that at freshman orientation we were told to get a tetanus shot should we fall into the Dirty Water of the “muddy River Charles.” Still, sailboats on the river around the Esplanade were a favorite sight of mine. So, for a time, I lived in Boston, and it will always be a part of me – a sort of second hometown. We’ve all heard the slogans: Believe in Boston. Boston Proud. Boston is a hard-working, glass-half-full kind of city. Underdog, schmunderdog. Give Bostonians a challenge – go ahead, I dare you. Tax our tea? We’ll give you a tea party. Laugh at our Sox and call it a curse? We’ll patiently wait for our revenge. Bomb our Marathon? We’ll turn it into a celebration of strength and galvanize the whole country around us. Dump a couple of feet of snow on the city this week? We’ll walk our dogs on the Common and say it wasn’t so bad. The people who thumbed their noses at King George, waited 86 years for the Red Sox to win a World Series, and have survived numerous renamings of their precious Boston Garden in the name of commerce aren’t afraid of a few bumps and bruises – that’s just part of the fabric of life in the Cradle of Liberty. So all week long, in the unrelenting wake of “deflategate,” I’ve been asking myself why it is that the New England Patriots feel the need push the envelope of fair play. Of course, money, glory, records – I know all that. But what I mean by this is, I think they’ve forgotten who it is they represent. I know the Pats’ constituency covers much more than the city, but Boston is at its heart. Bostonians will (grudgingly) forgive a hard-fought, honest loss – in fact, a loss often unifies and energizes the city. After all, Boston has the most – sometimes unreasonably – loyal fans in the world. But even they may have trouble forgiving a continued reputation as a sleazy or cheating team. Nobody likes to be demonized, and nobody wants a cloud over a win. The really awful and ironic thing is, the Pats didn’t need to fudge or cheat. By just about all accounts, they would have won last week’s playoff game handily on their own merits without underinflated balls, and then (mostly) everyone would be celebrating with them, and the team and the NFL wouldn’t be splashed with mud – again. Somebody didn’t trust the team, and risked so much for nothing. Someone lost the faith. They stopped believing. They forgot who they are, and they forgot the fans who deserve better. Mr. Brady, Kraft Family, Coach Belichick: lead from the top. Don’t solicit, encourage, or tolerate violations of fair play. Win with integrity or take your loss on the chin, but don’t play the angles and skirt the rules. Give us a good, honest, well-played game on Sunday – something to embrace and be Boston Proud of. Just give us your best. C’mon guys. We can take it. This is Boston. This entry was posted in Giving Back, Recreation, Ruminations, Travelogues and tagged Boston, Fair Play, lifestyle, New Egland Patriots, Super Bowl. Bookmark the permalink. 7 Responses to C’mon Guys, This is Boston! Count me in among those who TOTALLY agree with you here. There was no need for this deflategate thing, and it was all so absurd. I posted a short video about Bill Nye the science guy’s funny take on the “climate” affecting the balls on my blog. Isn’t there enough horror, dishonestly, and cheating on the news? And I don’t just mean in Washington! So true… there’s way too much of it, and it’s very sad. I love Boston but the Patriots? Not so much. I’ve been experiencing schadenfreude about this whole scandal! I agree – the amount of unsportsmanlike conduct among our sports figures is so discouraging. Hopefully public exposure and pressure will start to temper it! Thanks for chiming in! Boston! How I miss it. I lived and worked on the Cape right after college and we would go to Boston for the weekends. Once, we missed the last bus home, and got stuck in a snowstorm without a place to spend the night. We were in the vicinity of Boston Univ. and spent the night in the lobby of one of the dorms, until the TV in the lobby caught on fire and we left in a hurry to wander the streets until the T opened. Those were the days. Deflategate…don’t get me started. Great post. Thanks for the memories. My pleasure! When I was at BU and my beloved was at Dartmouth, he got stuck in Boston and spent the night in Mugar Library on campus! Had I realized (no cellphones back then), he could’ve stayed at my roommate’s boyfriend’s fraternity… oh, well! Good times!